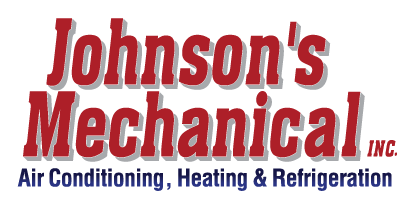 Residential Heating and Cooling, Auburndale, FL | Johnson's Mechanical Inc. Residential Heating and Cooling, Auburndale, FL | Johnson's Mechanical Inc.
Keep comfortable in all seasons with our residential heating and cooling maintenance services in Auburndale. Your home is one of the biggest investments you will ever make, and you want to make sure it is a pleasant space to live in, not just for you but also for your entire family. Here at Johnson’s Mechanical Inc., we are a local family owned and operated business that has been serving the residential heating and cooling needs of our customers in Auburndale, Florida since 1982. We can also work with rental property owners to make sure your renters are comfortable in their homes. Installation, repair and replacement of heating systems, including furnaces and heat pumps. Installation, repair and replacement of cooling systems, including air conditioners, chilled water systems, heat pumps and more. We can service kitchen hoods and ventilation systems. We can install, repair and replace wine coolers. We offer regular residential heating and cooling services from Monday to Friday, 8:00-4:30, but are available for emergency services 24 hours a day, 7 days a week. We primarily install Lennox brand units to serve your residential heating and cooling needs, but we can service any make and model because of our experienced and knowledgeable professional technicians. Our priority is our customer satisfaction. We are dedicated to providing fast and reliable repairs. We are a state certified HVAC and refrigeration contractor and are fully licensed and insured. If you need any residential heating and cooling services in the Auburndale area, give us a call.